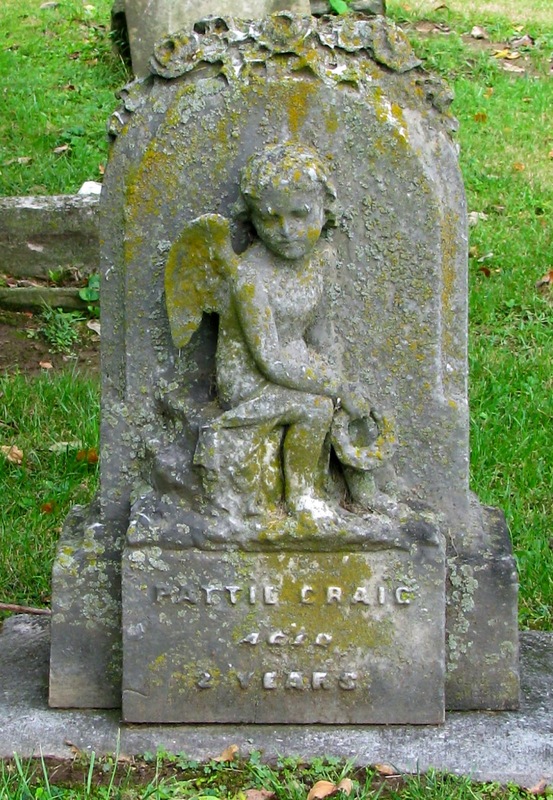 Put another way, grief is a natural response to the emotional suffering when you experience the loss someone you love - The more meaningful the loss, the more deep the sorrow. 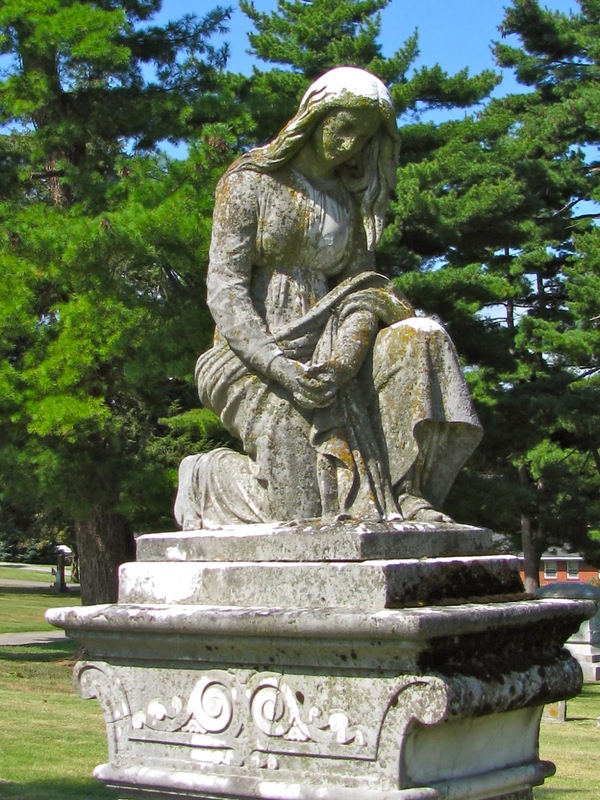 It’s no wonder we find so many symbols of grief personified in the cemetery. 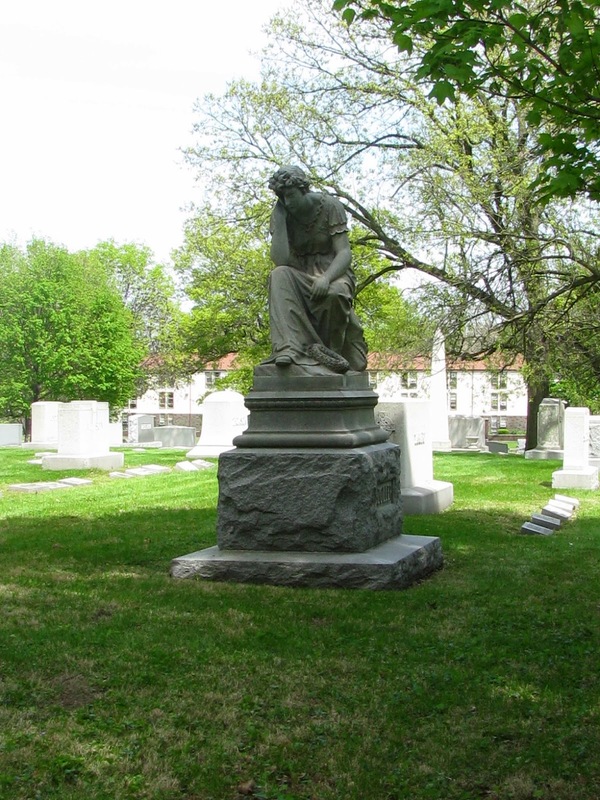 There are several famous statues depicting grief. 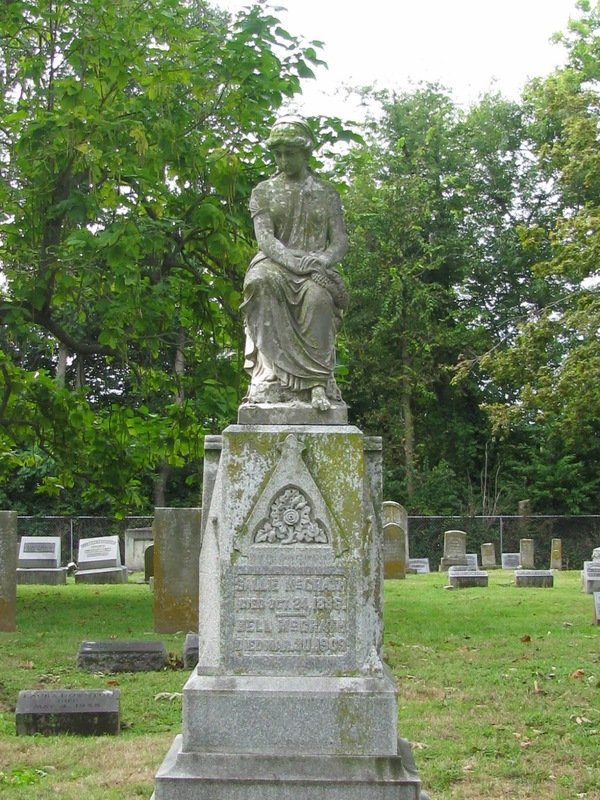 William Wetmore Story originally sculpted this statue, known as “The Angel of Grief”, for his and his wife’s graves in Italy. 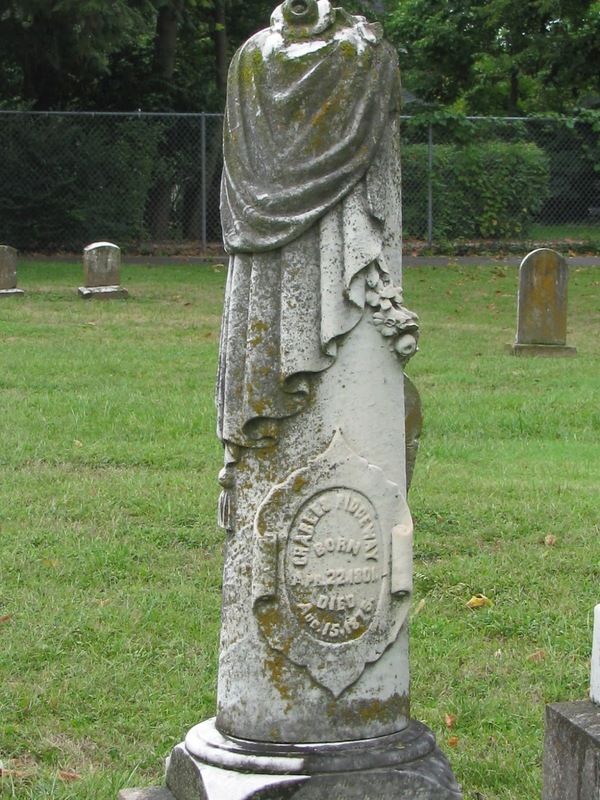 It has been re-carved countless times and appears on graves around the world. 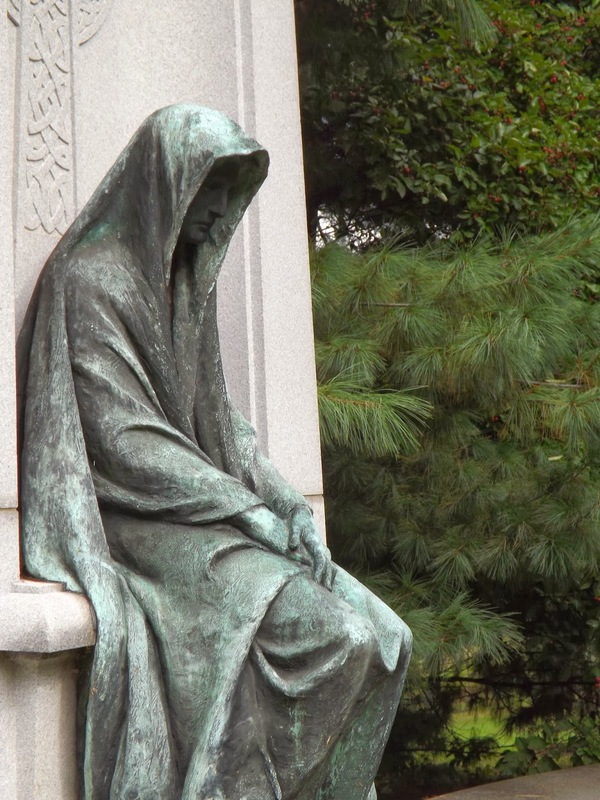 The Peace Monument also known as the Naval Monument or the Civil War Sailors Monument in Washington, D.C. is often shown to depict grief and sorrow. 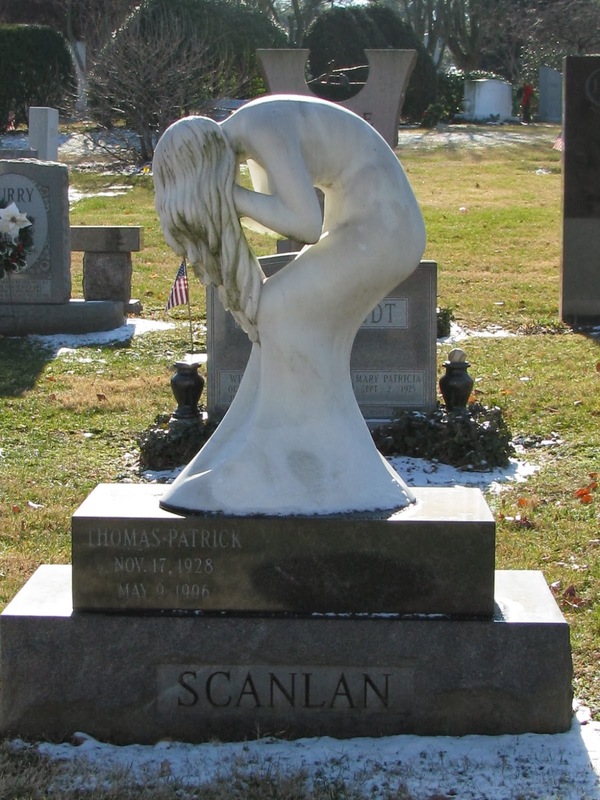 Sculpted by Franklin Simmons, the two female statues represent Grief, who is weeping against the shoulder of History. 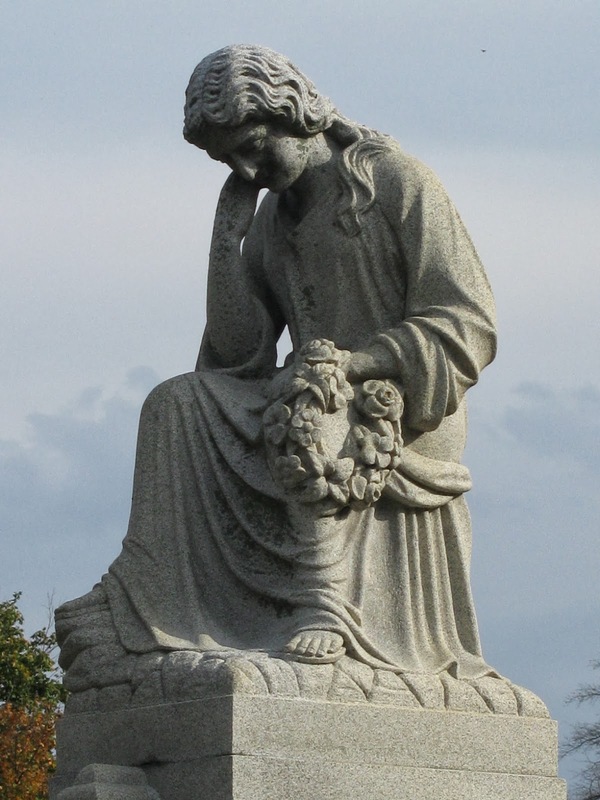 Here are a few more which symbolize the loss and mourning of those left behind. 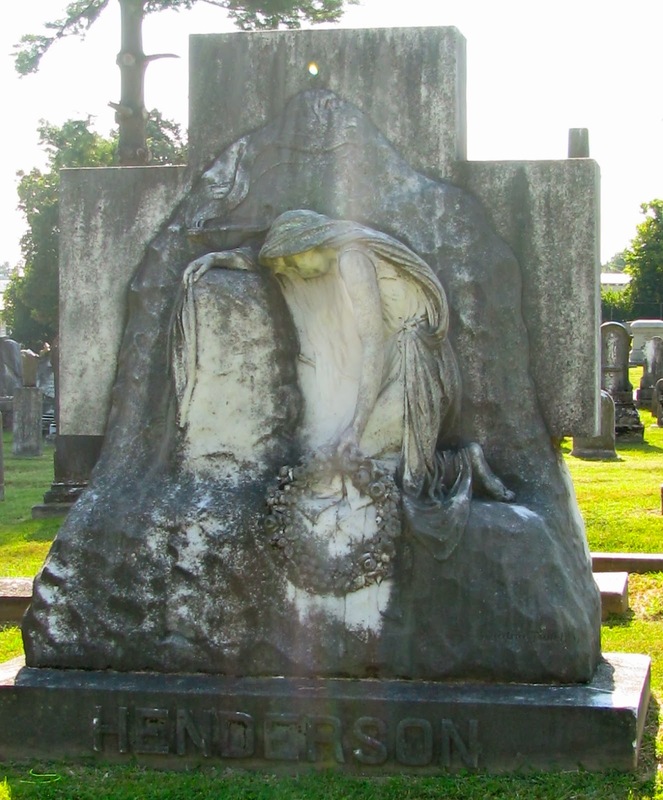 Angels are often shown in poses of grief and sorrow. They are God’s messengers and intercede on behalf of humans. 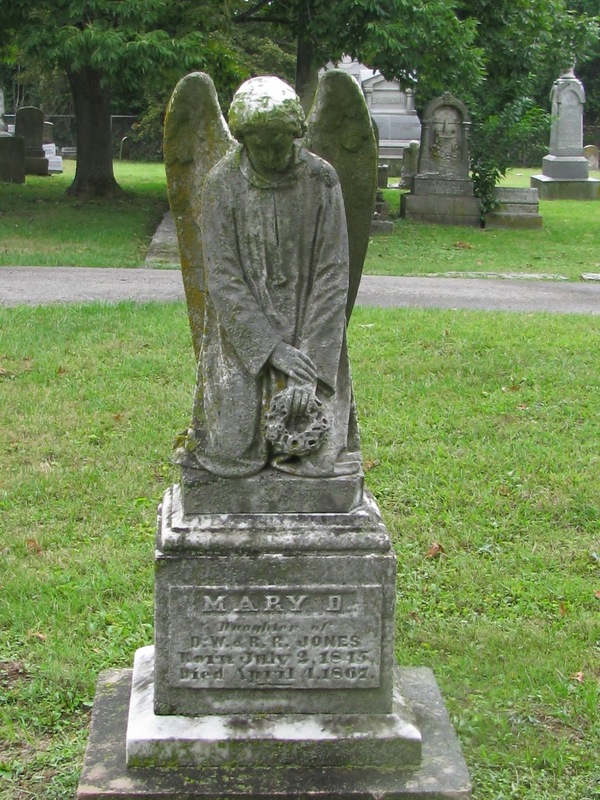 Angels can be found weeping, mourning, or scattering the petals of life. 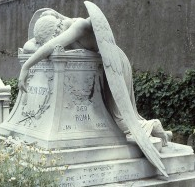 Another portent of sorrow are cherubs. 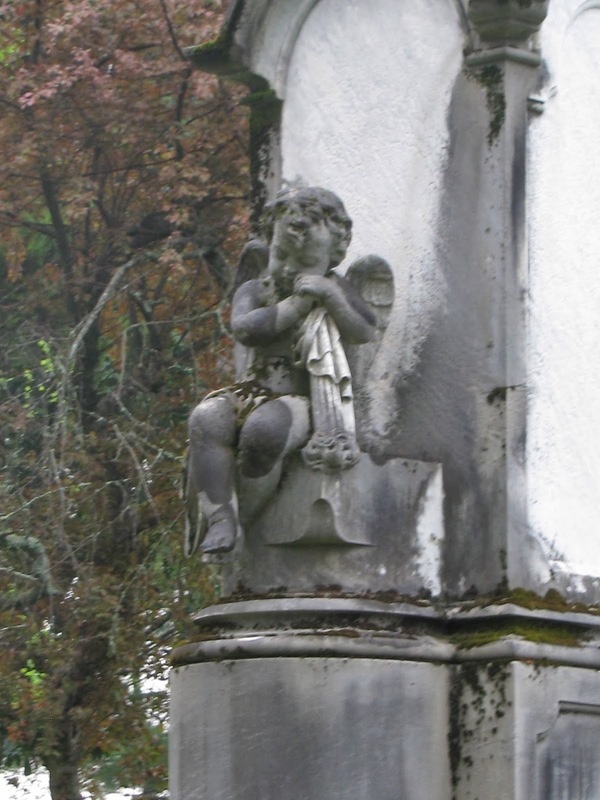 Victorian and modern Cherubs have been humanized and blurred with Putto so they are now shown as pudgy babies, or toddlers with wings. 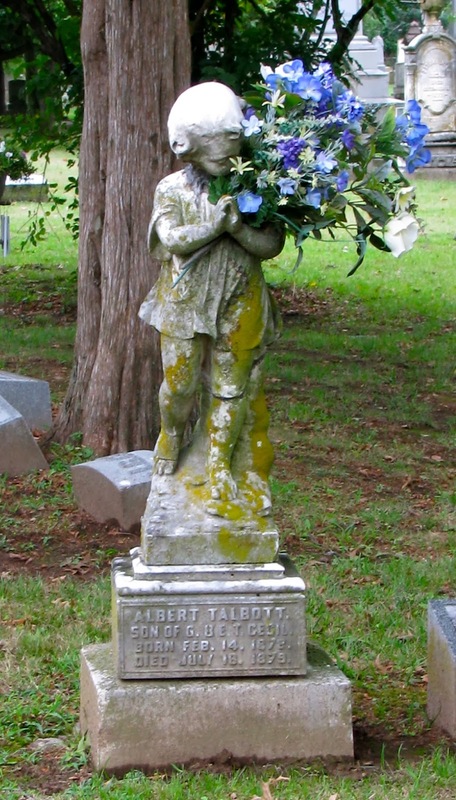 They are usually placed at a child’s grave. The death of a child has always been heartbreaking. 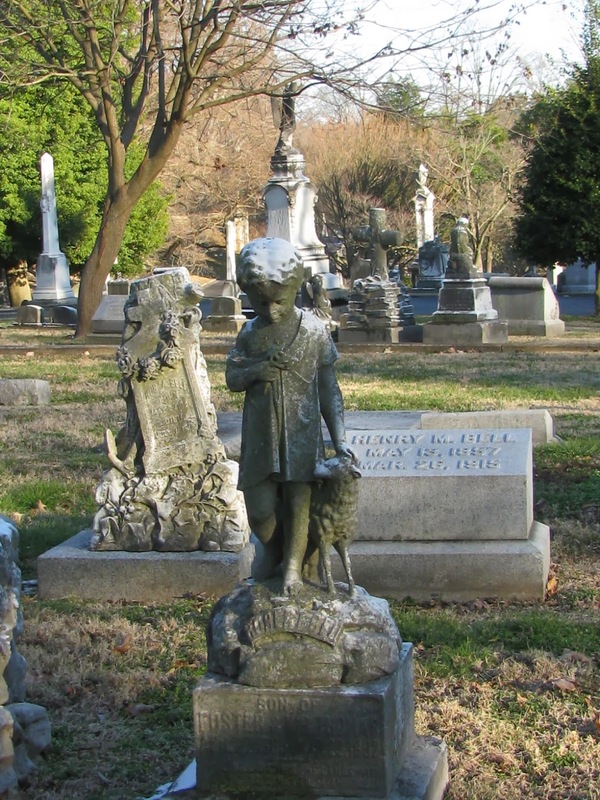 In the cemetery, children’s graves may be marked with lambs, dead doves, cherubs, or in some cases, the children themselves are shown mourning their loss of life. 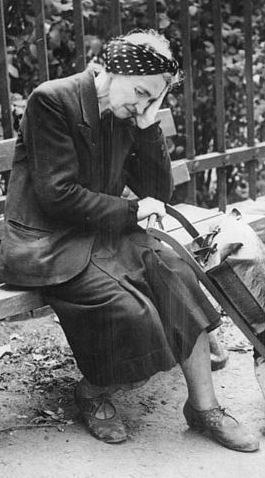 Women are the mourners of the human race: the ones who are expected, and allowed, to express emotions. 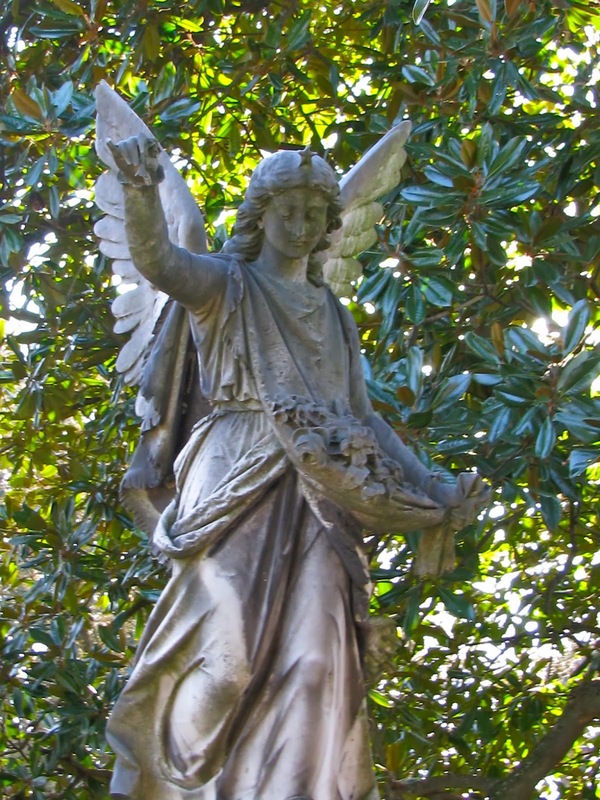 It is their presence in the cemetery that connotes sorrow and grief at the loss of a loved one. 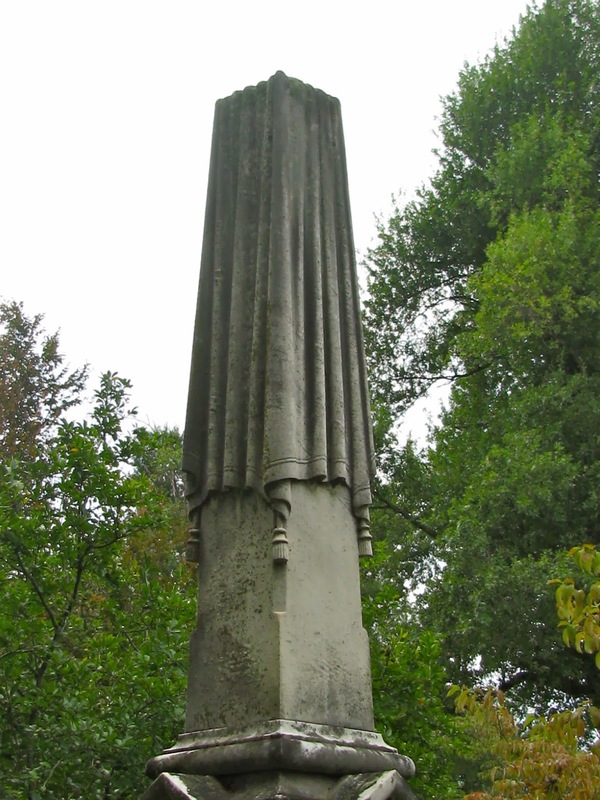 Used mainly in the late 19th and early 20th centuries, a column symbolizes a nobly life. 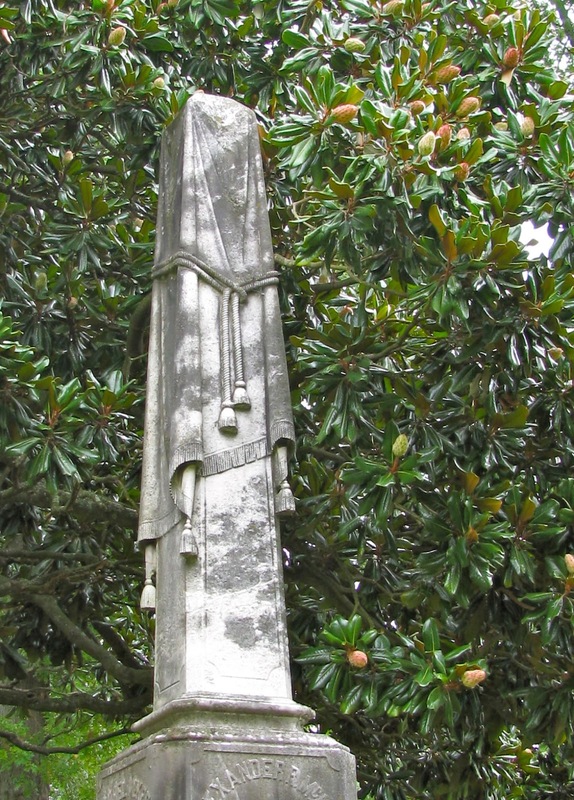 Draped material over the column represents the fabric draped over the coffin and signifies grief and mourning. 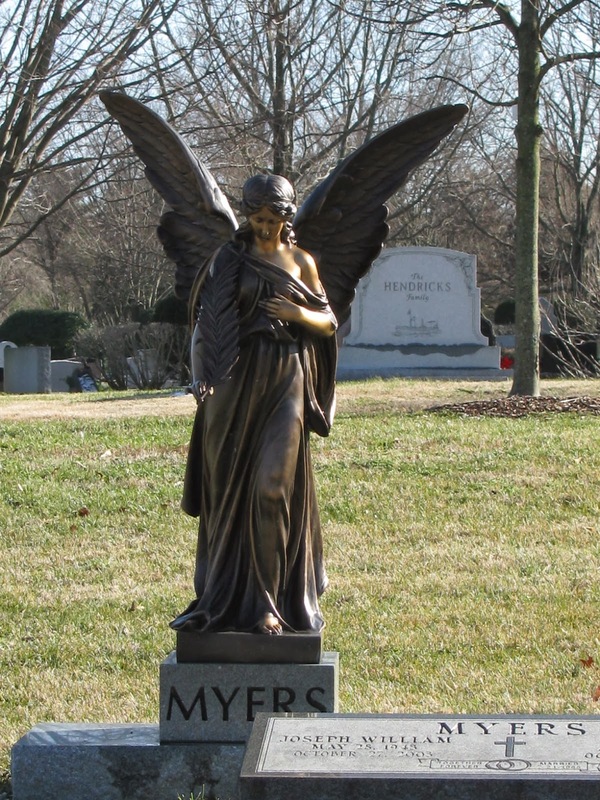 But for all of the statues in mourning that can be found in a cemetery, there are also statues of that indicate confidence and courage. Next week, we will examine those Statues of Hope. Tomorrow will mark the 3rd Anniversary of A Grave Interest. If you enjoy what you find here, please “Follow” on Blogger and Twitter, “Like” on Facebook, Share on Google+, and share with your friends. 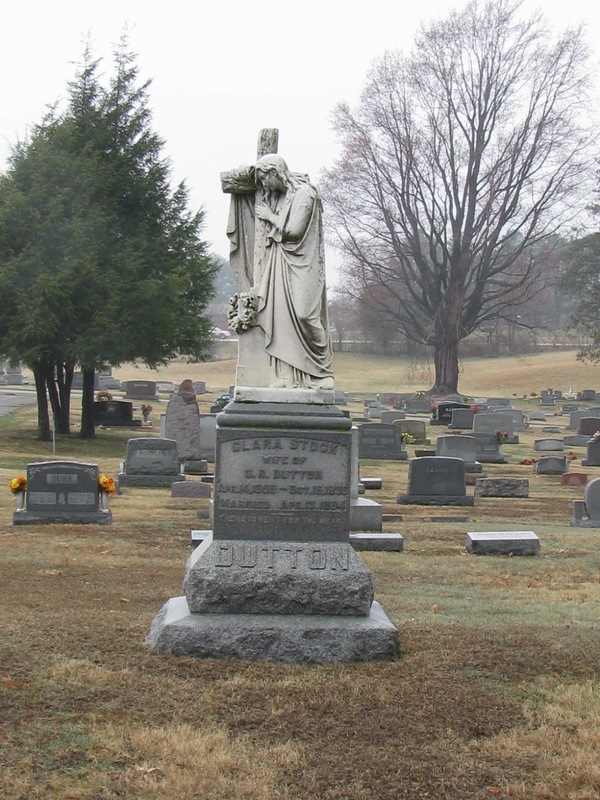 Thanks for reading, and expect more cemetery marvels to come! Thank you, Denise! I appreciate it! 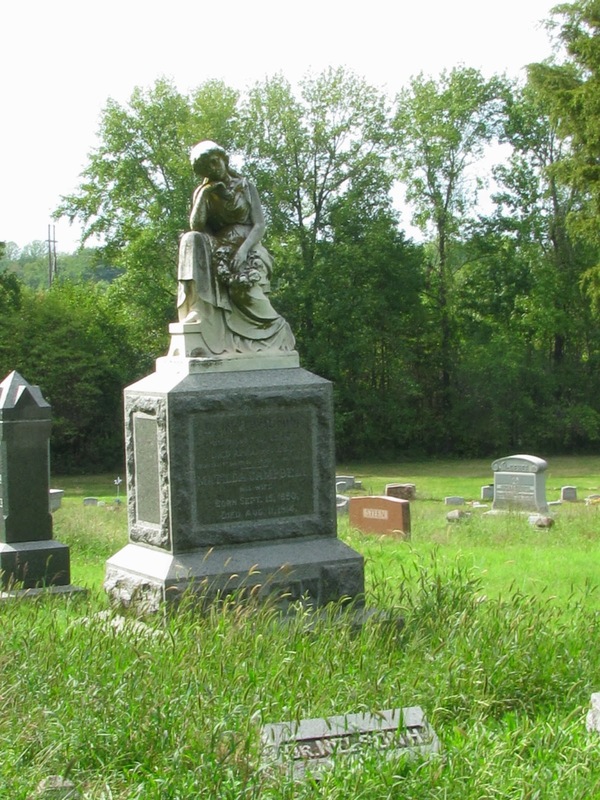 I find cemeteries fascinating and beautiful places, too. You have a very lovely site here. Happy Anniversary! Thank you, MorgueMouse! 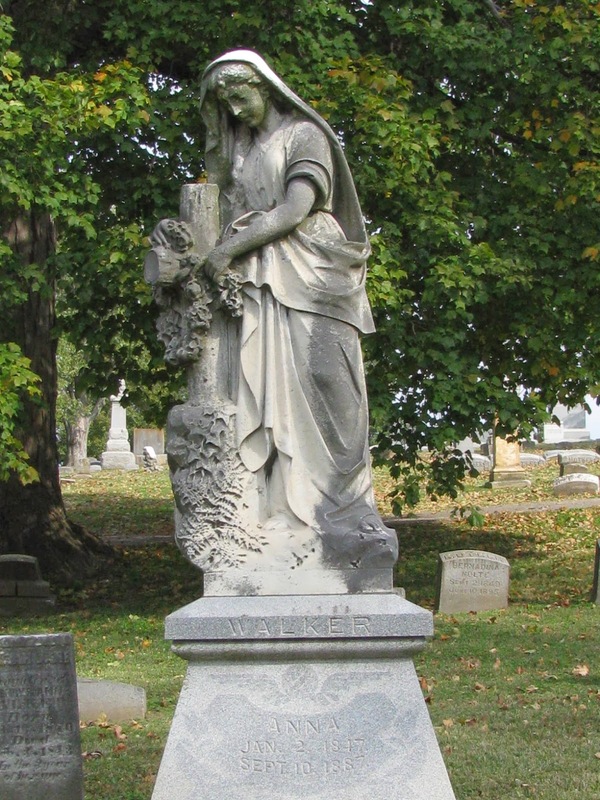 I am so ready for this winter to be over so I can start wandering the cemeteries again.